Easily search homes for sale, find your home's value, and see up-to-date market real estate information by zip code or by city. Customize your home search to view all up-to-date MLS Listings for sale. Search traditional home sales, new construction homes, foreclosures, bank owned, and short sale properties. Get positive, helpful, and award winning Top Real Estate Agents to partner and assist you with BUYING or SELLING a home in this ever dynamic Real Estate Market. 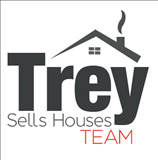 The Trey Sells Houses Team - Brings HOME Results!